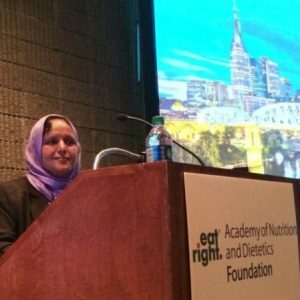 The project was started with a pilot project to determine feasibility of using Linked In and and on-line survey to collect data from dietitians in Saudi Arabia. Dr Rubina Hakeem let the pilot project. The Linked In group was established. The name of the group which now has 660 members is Human Nutrition Experts in the Middle East and Northern Africa. Project was funded and data completed by May 2016. . 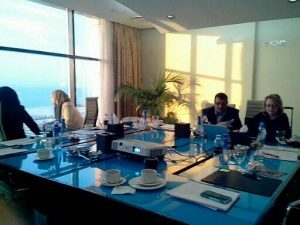 The Research Team met in Dubai in Feb 2017 to discuss results and determine follow-up activities. Abstract was submitted to FNCE and accepted. Full manuscripts are being prepared to submit for publication. Background: Recent advancements in the dietetics profession in education, practice, and research are disseminated/adopted through collaborations across borders. 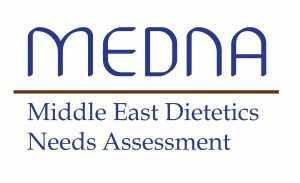 A needs assessment of dietitians in the Middle East is the first step in identifying future collaborations. Method: The 41 item needs assessment survey was translated into Arabic and Turkish and was disseminated through Linked In groups, country dietetic organizations when available, and by country representatives (CR) from Feb-June 2016. The research team met to evaluate results and identify potential future projects. Results: Responses from 542 dietitians represented 21 of 30 Middle Eastern countries. Dietitians reported working in their country from < 2 years (37%) >2-5 years (20%). >5-10 years and > 10 years (24%). Over half (56%) had been employed as a dietitian for <5 years with 54% working in hospitals, 34% in outpatient consultation and 11% in research/academia. Undergraduate preparation was usually a 3-5 year BS (86.9%) with 13 % reporting less than BS degree. In addition, 11% reported a MS degree and 9% reported a doctoral degree. The most common title was either Dietitian (28%) or Nutritionist (22%) with 60% holding a government or professional society credential. Discussions about the question/issues in dietetics education, credentialing, evidence-based practice, and nutrition care process/terminology led to development of two potential follow-up projects. Conclusion: This study offered insights into internationalizing dietetics practice through effective collaboration and cross-cultural learning, in this case through 1) Awareness and Support for Professional Practice Issues (Nutrition Care Process and Evidence Based Dietetics Practice) and 2) Dietitian/Nutritionist Advocacy Issues projects.